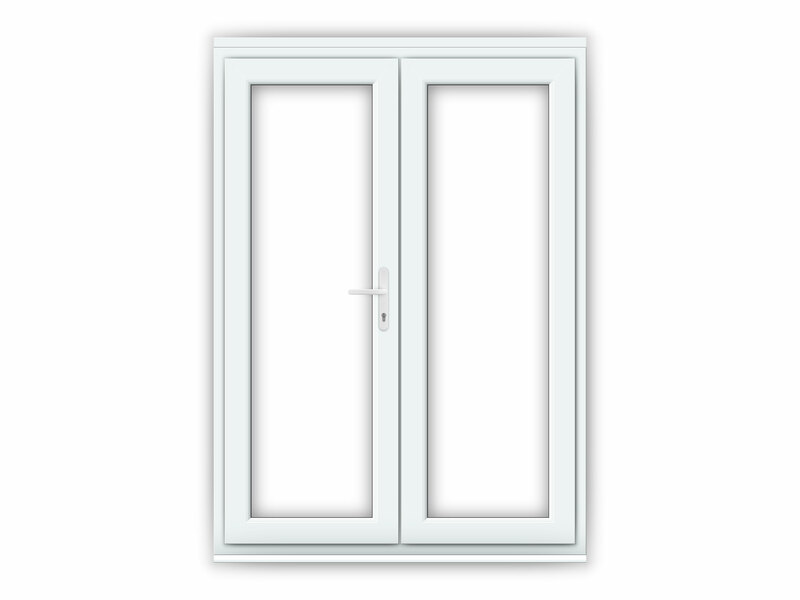 Our 5ft uPVC French Doors are 1490mm (W) x 2090mm (H) including a 30mm cill and 40mm overhead ventilator if fitted. Our 5ft uPVC French Doors are perfect for installation in a 1.5m (W) by 2.1m (H) aperture. Doors arrived on time, service was excellent. Initially ordered wrong size, Maddie from customer service was unbelievably helpful in sorting this out for me. Made sure I still got my order in time, despite my mistake. Would definitely recommend, not to mention the great price. Easy to put up, awesome quality for value. I’ve installed it with my 60 years old dad and we had never done that before. It took us a couple of day as we had to put a new lintel, but after that it was a breeze. Only thing would be a clearer troubleshooting section for us beginners but if you have a problem you can find tips easily on the internet. I’m buying sliding doors now for another room. Such a pleasant expierience shopping with Flying doors. It's my second purchase. Quick and efficient delivery right to your door without any hassle. Would definitely recommend to anyone! Great selection of products, easy ordering & delivered on day requested. Couldn't be easier. Excellent produce well worth the money - fitting was not difficult but would suggest instructions are packed with the frame and not the doors as frame is fitted first. 4 stars for a missing trickle vent cover. Been using Flying Doors for years, never let me down. Top quality products and trade prices. Great doors that were very easy to fit! Took me twice as long to get the old ones out then it did to fit the new ones!! Delivered in good time and in perfect condition. Would deffinately recommend to a friend. value for money. After doing a lot of shopping around I went for this French door - it really represents superb value for a door that has all the features I was looking for at a price significantly less than anywhere else. It was quite easy to install and it has made our kitchen look wonderful. Excellent customer services from the initial phone call to book the delivery slot to the very polite and nice delivery drivers. I can't fault the french doors and would recommend them. We purchased the 5ft French Doors, arrived on time and well wrapped. Product was easy to install and came with all instructions. Building Control passed the item as 'excellent' - Doors have lots of adjustment options to cater for out of square openings. Excellent locks and handles. I recommend this product. Excellent product. Easy to fit too - my husband did it alone in just a few hours. They have made a huge difference to the look of our kitchen! I needed some doors made to measure as my aperture wasn't a standard size. Great price and great lead time !! I'd like to say a special thanks to Sally for helping me throughout my purchase. Excellent french doors, great quality and easy to install. easy site to navigate, and a pleasure doing business,have used this company before and always very happy with my purchases. Delivery terrible, product, price and service was great. I bought 2 of these, great service and the best price I could find. Was worried about quality but absolutely no need! They took a bit longer than the 5 days stated but I had chrome handles on them both and this was explained to me before purchasing. Thanks, will definietly use again in the future. can't fault these guys, the doors are 10 times better quality than the ones i got from b and q and much better value. thanks.